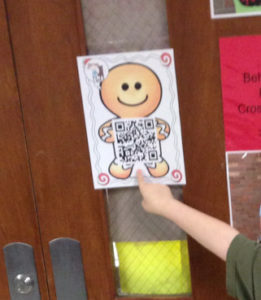 A student finds a QR code on their hunt for the Gingerbread man! QR stands for Quick Response. 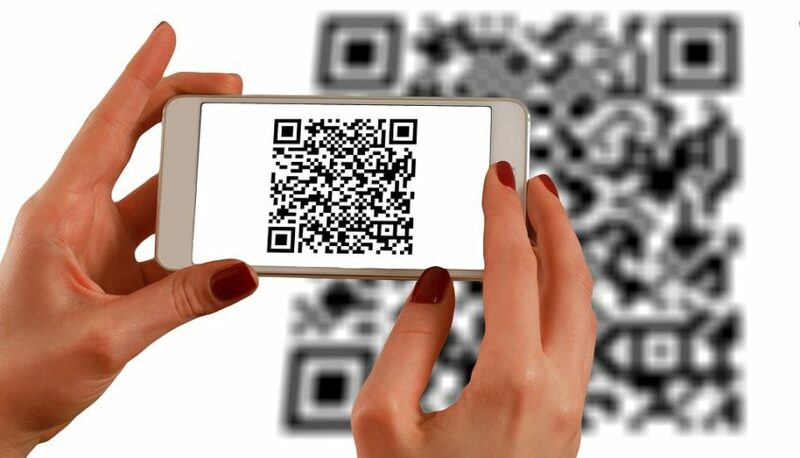 QR Codes can contain text, links (to web sites, videos, files), and much more. QR Codes are safe to use in the classroom. Students only access what you tell them to via the QR Code. WHY USE A QR CODE? WHAT TOOLS DO YOU NEED TO READ OR CREATE A QR CODE? QR Readers are available for whatever device you want to use. (iPhone, iPad, chromebook etc.) On an iPad try the QR reader for iPad app. On a Chromebook try www.webqr.com.